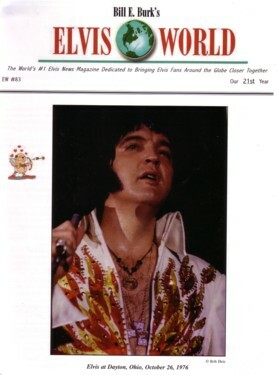 Bill E. Burk's quarterly magazine "Elvis World" is now in its 21st year of publication. An investigative journalist based in Memphis, Bill has the distinction of having written the most newspaper articles about Elvis, many hundreds since the 1950s. Now in full color, issue #83 of "Elvis World" is chock full of interesting news, information, articles and photos. In the article Get Your Credit Cards Ready! Bill warns us about the deluge of Elvis products planned for the 30th anniversary of Elvis' death; while in the photo article Elvis, Elvis, Elvis...He's Everywhere! !, Elvis is seen literally everywhere, from Tokyo to Thailand, from England to Missouri. Elvis musicphiles will enjoy part one of Stephen Rudko's informative article on The American Sound Sessions, An Elvis Milestone! In it, Stephen goes behind the scenes of these historic sessions in his very entertaining article. As usual Elvis World contains several book reviews and the ever popular readers feedback in Air Mail. Rounding out issue #83 is the EW Shoppers Service. Bill proudly lays claim to the fact that Elvis World ships more Elvis books under one roof than any other organisation! Some of the titles in this issue are autographed copies the upcoming memoir by Sonny West, Elvis Still Taking Care of Business and Jerry Schilling's best selling memoir, Me and a Guy Named Elvis. Fans can also buy copies of Bill's own books directly from him including the critically acclaimed Early Elvis The Tupelo Years and Early Elvis The Humes Years. A stand-out buy is the sublime book Elvis: The Concert Years by Stein Erik Skar. 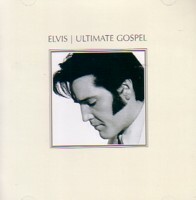 Elvis World has this for sale at US$65.00 plus p&p. 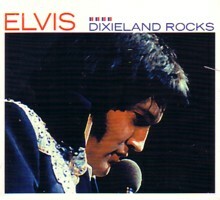 Elvis World accepts checks and money orders in US dollars. Visa and Mastercard are also accepted. Email Bill to subscribe to "Elvis World"
Visit Bill E. Burk's "Elvis World Online"